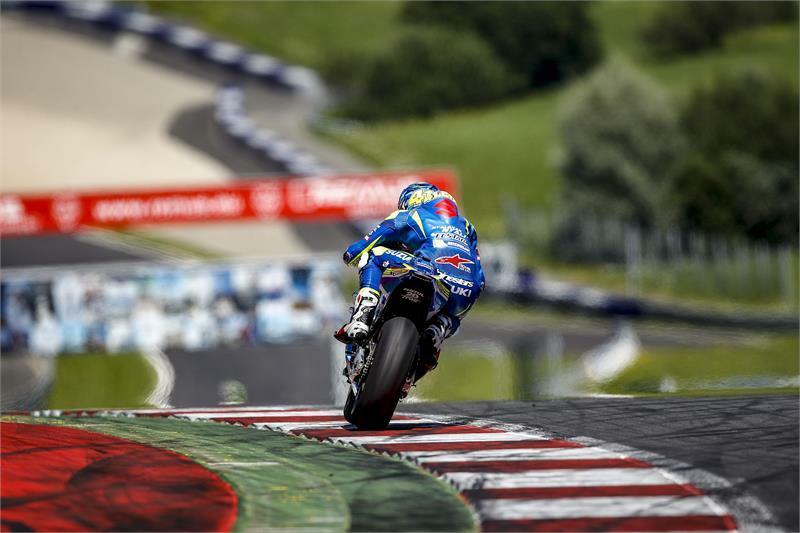 The Suzuki MotoGP squad of Aleix Espargaro and Maverick Viñales made vital progress at this week’s test at MotoGP’s scenic new track in Austria, after experimenting with a number of electrical strategies and new chassis parts. That’s according to Espargaro, who admits that he expects the squad to struggle with a lack of power when they return to the track for the first race there in three weeks’ time. “We worked really hard, especially in the afternoon where we tried different solutions with the electronics and also a different swingarm, to try to find more traction. This circuit is very nice but the full power will play a major role; for this I expect we will be struggling a lot. However, the test should play another important role for the team, with some positive feedback for the final leg of the series.